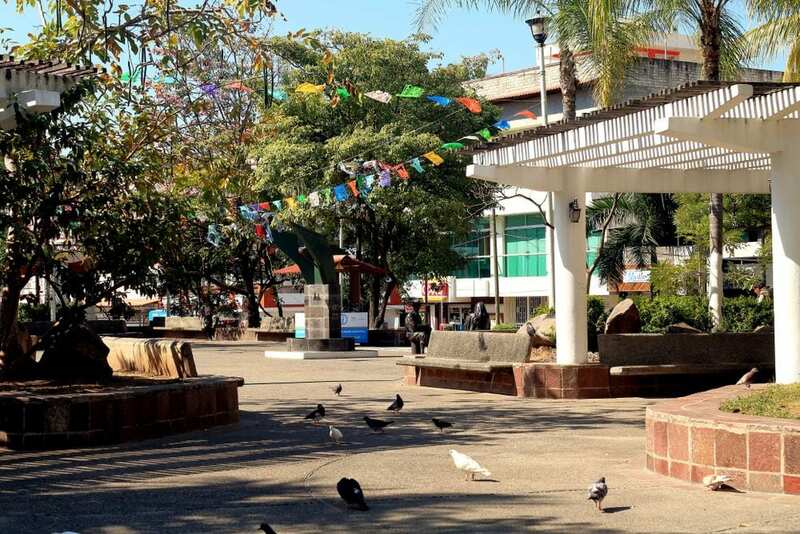 The city of Puerto Vallarta is split up into neighborhoods, called zones, spread out along Banderas Bay and beyond. PVR is a great place to visit because it is so easy to get around, and you can be explore the entire area in one quick trip. This mini cirque du soleil/dinner theatre experience is a can’t-miss experience in Puerto Vallarta. When you book this experience, it starts out with an open-bar sunset cruise across Banderas Bay to the private cove of Las Caletas. The show is set in an outdoor auditorium, and depicts various stories of the ancient Hispanic civilization and Mexican folklore. The Malecon (which means “oceanfront promenade”) runs about 1 mile. 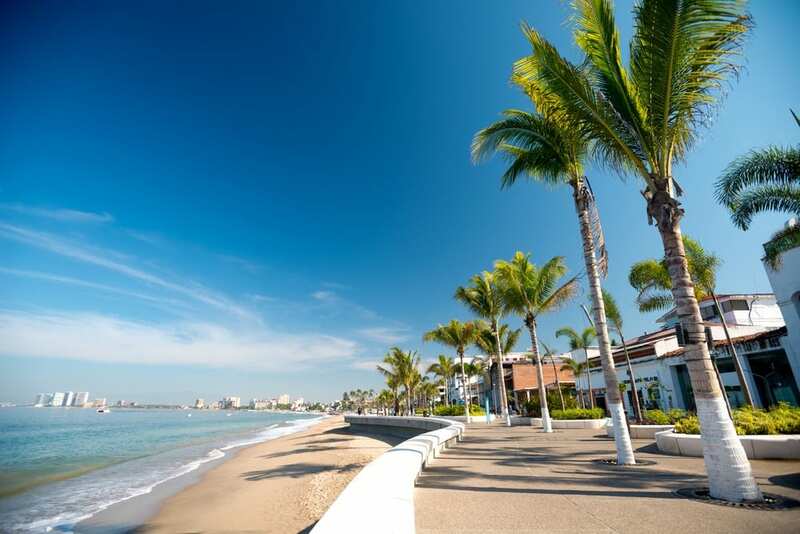 It is the best place in Puerto Vallarta to enjoy a quiet beachside stroll. With the ocean on one side, the other side is full of shops, restaurants, and bars. The best part: you can grab a $1 margarita or Corona on your way! Located south of the Los Muertos Pier, this beach has so many activities to choose from. 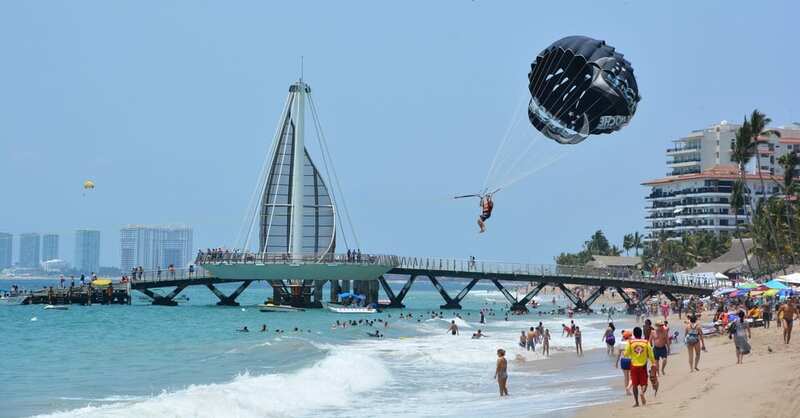 Swimming and surfing are very popular here, as are parasailing and boating. This is a great place to spend an afternoon or evening, with many beach restaurants and bars to pop in for lunch or dinner. 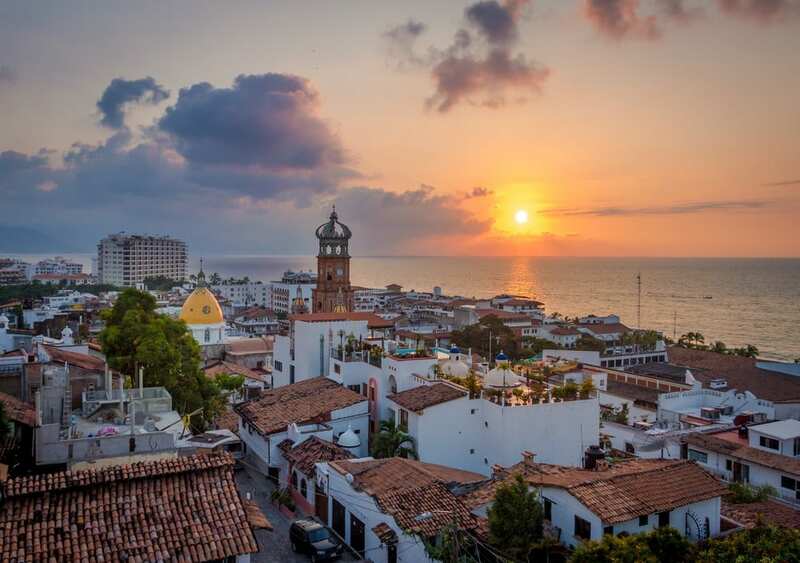 Old Town in Puerto Vallarta is full of beautiful cobbled streets and colorful buildings. The unofficial “center” is the old church. From here, you will find rock steps leading up a large hill. If you take the steps it will lead you along the back roads to the Romantic Zone. The best view is at Mirador Cerro de La Cruz. It takes about 30 minutes (and is a bit strenuous!). To learn about PVR’s culture, history, and architecture, check out the free walking tour! These are led by knowledgeable guides every Tuesday, Wednesday, and Saturday. The meeting point is the Municipal Tours Office, which is located in the Old City Hall building. The tour lasts about 2 hours. Reservations not required. Let one of our Mexico specialists help you plan the perfect getaway! Call us at 402-281-3022.